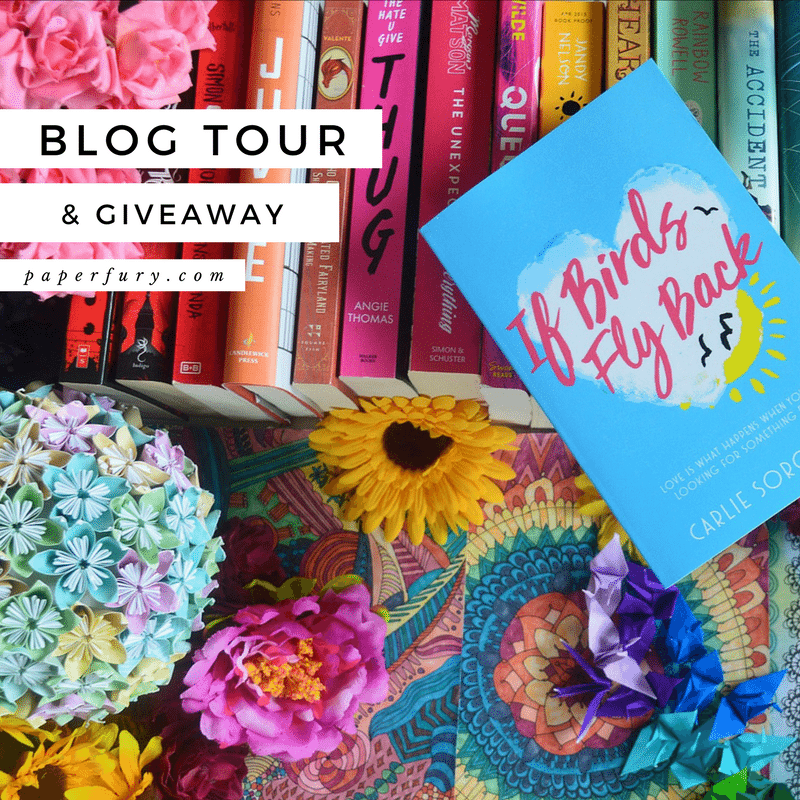 In a brilliant turn of events, I’m on the blog tour for If Birds Fly Back by Carlie Sorosiak! 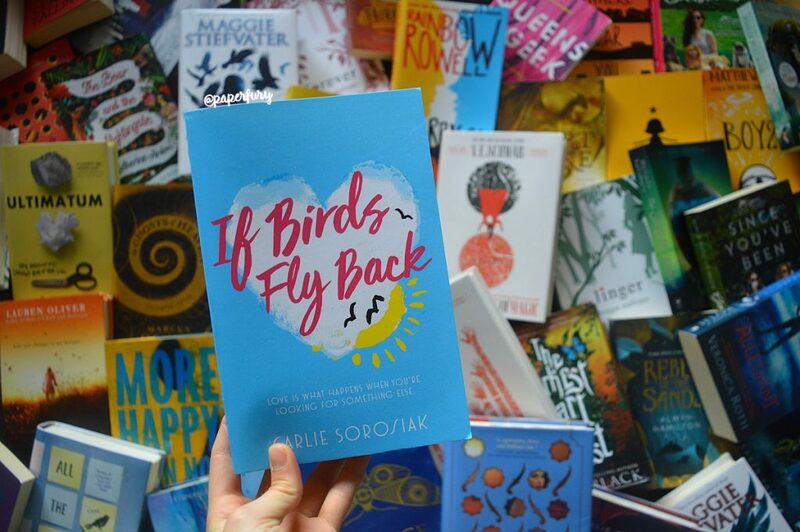 Which means you get a glorious day that includes (1) a most marvellous review of this cute and nerdy little book, and (2) a GIVEAWAY at the end because you deserve all the love, little dovekins. Also appreciate the levels of title-applicable origami in these photos okay? I am proud. Thanks to Pan Macmillan for having me on the tour! Linny has been living life in black and white since her sister Grace ran away, and she’s scared that Grace might never come back. When Linny witnesses the return to Miami of a cult movie star long presumed dead, she is certain it’s a sign. Surely Álvaro Herrera, of all people, can tell her why people come back – and how to bring her sister home? Sebastian has come to Miami seeking his father, a man whose name he’s only just learned. An aspiring astrophysicist, he can tell Linny how many galaxies there are, how much plutonium weighs and how likely she is to be struck by a meteorite. But none of the theories he knows are enough to answer his own questions about why his father abandoned him, and why it left him in pieces. As Sebastian and Linny converge around the mystery of Álvaro’s disappearance – and return – their planets start to collide. Linny’s life is about to become technicolor, but finding the answers to her questions might mean losing everything that matters. 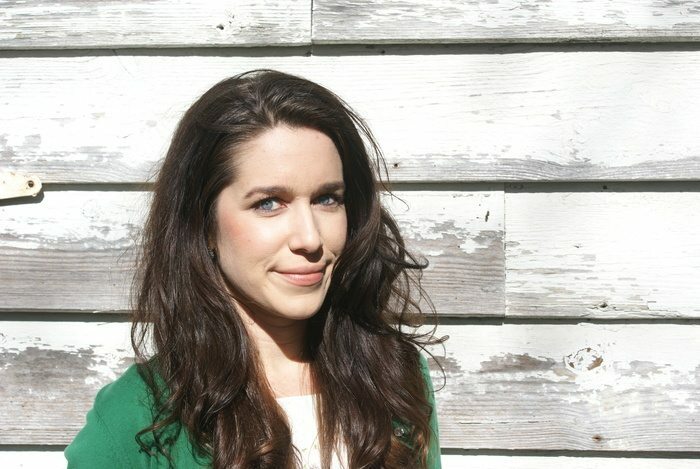 Carlie Sorosiak grew up in North Carolina and holds two master’s degrees: one in English from Oxford University and another in Creative Writing and Publishing from City University, London. Her life goals include travelling to all seven continents and fostering many polydactyl cats. She currently splits her time between the US and the UK, hoping to gain an accent like Madonna’s. 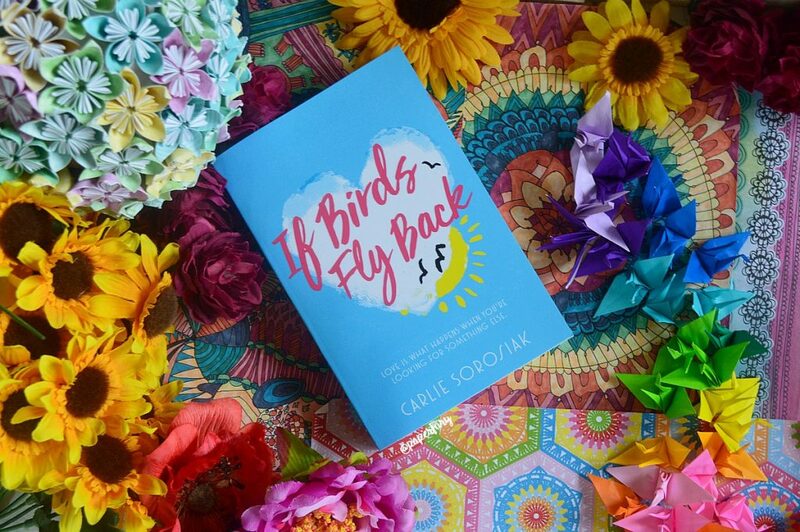 If Birds Fly Back was entirely super cute! It featured a bunch of nerds and an adorakble friendship-turned-romance with plenty of bantering dialogue — HERE ARE A FEW OF MY FAVOURITE THINGS BASICALLY. The only downside of my reading experience was dropping it on my face while being absorbed by these delicious words. Thank you to all the universe, stars, and pebbles upon the shores that I read a paperback and didn’t die or lose my eyes over a hardcover. Life can be kind. It’s dual narrated by both Linny and Sebastian. And I can’t even pick a favourite! THEY’RE SO CUTE. Linny is totally obsessed with film and Sebastian is into astrophysics. I love how their individual chapters included either scientific facts or snippets of a screenplay being written. It turned them into individuals and made their passions really interwoven with the plot line. My only problem was since they’re both 1st person, I felt their voices were pretty similar. But Linny was a bit anxious and Sebastian was an absolutely exploding piece of rainbow confetti. So I loved them! They were both diverse, too, with Sebastian being Mexican and Linny biracial with a Nigerian mother. The story is basically all about missing people. And birds. But more like metaphorical birds. Except for the part where a bird poops in Sebastian’s hair and duuuuuude. I feel so bad for you. Birds are nasty. Linny’s sister disappeared and Sebastian is looking for his never-before-met-dad. But since the tone of the book was pretty happy and quirky and light, I did actually fail to feel like really emotionally caught up in the missing people. I can see Linny’s suffering with her sister just having vanished, but the rest of the story was so funny?!?? I was thoroughly enjoying it, but my heart strings didn’t get pulled. I loved the scenes were Sebastian and Linny just hung out and were DORKS together. Putting stars on ceilings. Making terrible Mexican food. Being super awkward. IT WAS SO SWEET! Most of the book is set in an old-people’s home where they’re volunteering for the summer and caring for an old famous writer, which didn’t really interesting me? But it was never boring! I had SUCH fun reading! Until, you know, I brained myself with this book. Then I read on, slightly bitter, but still pleased at least they were having a nice time. I will definitely say this is a super cute tale! It reminded me of An Abundance of Katherine‘s meets When Dimple Met Rishi. And THE NERDOM LEVELS WERE GREAT. I loved the snippet’s of Linny’s screen play and I learned SO many science facts thanks to Sebastian. Like I’ve totally forgotten them all now, but my memory is akin to a dead french fry. So. It was great at the time. Fun dialogue! Fun banter! Their relationship was so well done, with ups and downs and awkward cuteness and I rooted for them! 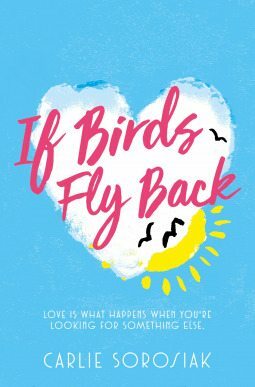 Definitely chase this one day if you’re after a summery fun read that is like popsicles and sprinkles with a side dish of NICE PAIN. what do you think?! do you like summery-books? or do you prefer books with a bit of daaaarkness? and in honour of the title, what’s your favourite kind of bird??? I like both summer reads and dark reads. Granted I read more dark but you need the light to mix it up a little and relax! My fav bird is a particular type of grey dove that live in Tasmania and Sydney because their coo-coo call reminds me of Summers spent at my Grandmothers in Sydney when I was a kid. They always woke me up in the morning. I don’t know if I have a favourite bird. Maybe the blackbird? I prefer dark books (you know this), but every once in a while something lighter is nice. Then I go to buy it and end up getting 4 fantasy books and 3 preorders instead 🤔🤔🤔 someone just really needs to five me infinite books and infinite time to read them???? I’m currently immersed in the BLOOD and SADNESS that is ACOL, so I feel like I’ll definitely be in the mood for something sweet once I finish. (I got The Lost and Found from the library and though of you, so maybe that) I like tuis, they’re a type of bird in New Zealand. I had a traumatic experience the other day when this dog I was with caught a bird and broke its wing before I could convince him to spit it out. Oh well, I guess he couldn’t help it. I really want to read this! Oh oh I hope you like The Lost And Found. <3 It's so lovely. Also her new book is just out (Everything All At Once) and it's SO good too!! I’m a sucker for summer books. The vibes you get from them are truly wonderful and it’s, even more, fun when you read the book in summer in the holidays, outside in the summer breeze. I definitely love dark books SOO MUCH – I live off them. But those snippets of the unknown outside world can be interesting. Helps with research. OMIGOSH ICECREAM. I’ve had so much Icecream this month. I tried out peanutella which is Peanut mixed with Nutella and I ADORED IT. Mango Sorbet is so much fun. And then I had Cookies & Cream ice cream WHICH IS DELICIOUS. i think I appreciate Icecream too much in books. My favourite bird would be a Phoenix. SUCH A SHAME THEY’RE NOT REAL. ALL THE ICE CREAM. SO MUCH LOVE!! Except for me and nuts…we don’t agree.😂 But cookies and cream tho. YAS. awww, that book seems so cute! I must read it. also, my mom went back on her no library thing, and just requested a bunch of books she wants us to read. but she didn’t let us pick our own books! hmmf. This book has caught my interest. Sounds quite emotional. I do love kookaburras. We have a pair that laugh like crazy to tell us rain is on the way. My dad used to feed kookaburras on our verandah!! It was pretty cool!! I like balance in my reading, so I like my dark fantasy but I also like summery fluff to relieve my brain. Doing Year 12 at the moment means I prefer lighter books because my brain is too tired for anything else, but I have a good long list of harder books for after graduation. Always enjoy your book reviews so thanks PaperFury. And AGREED. Fluff books are good when one is super tired. I find fantasy takes a lot of energy! Cool, FNQ- I guess you get a lot of flooding this time of the year? This does sound super cute. Am I going to catch feelings if I read it though? Oh no. So, read it with a whole chocolate cake to hand? This book sounds great, I might try and read it. I’m not really all that picky about dark or light books, either way’s fine really. My favourite birds are owls (owls are a bird right…? ), I’m very fond (obsessed) of owls. OWLS ARE GREAT. Of course they’re birds.😂 I would like a pet owl, tbh. I just got an arc of this, and I’m so excited to read it. I’m glad you liked the book! Great review! YAYYYY. I hope you love it too!! My favourite bird… I have no idea! I’m torn between a wedgetail eagle, willie wagtail and a rainbow lorikeet. Agreeeeeement. Sometimes it’s a nice break/diversion. :’) PLUS THEY’RE SO CUTE. I love how your last wee recommendation is to grab it if you like reading about dorks who hide in a cupboard at a party. LOL. Ooh, I hope you like it!! And Dimple & Rishi is adorable, right?!? I LOVED THAT ONE SO MUCH. OMG! It sounds sooooo good! And a CROSSOVER between When Dimple Met Rishi AND An Abundance of Catherine’s?!?! I NEED this so badly. I’ve been craving something really cutesy after my recent fantasy binge (oops I’m supposed to be reading more classics for the summer!). Also my FAV type of birds is and has always been . . . A Chickadee! They are not only the cutest little beings, but make the best (in my opinion, sound). And interestingly enough, I don’t like birds. I am not a morning person and their chirping is too cheerful in the morning and it just makes me grumpy. Plus I have a mockingbird by my house that likes to sit on my front porch and run through all of its calls just because it can feel my hatred…. I’m not actually sure what happened with me and this book. We just did not get along. Also I almost dropped it in the bath which is not particularly conducive to a good reading time. BUT I’M GLAD YOU LIKED IT. Just so you know, it’s an Aussie only giveaway! Sorry about that! I love darkness in my books!!! I just started Now I Rise by Kiersten White, and Lada is so dark, SHE’S PERFECT!!!!! I also need sass or sarcasm. That is key. Me+sassy/sarcasm= YES PLEASE. I haven’t thought about what my favorite bird was until now. Hmm…Idk. Can a phoenix be my favorite bird? I don’t have a favorite non-fictional bird. What is your favorite bird? I’M RELATING TO ALL OF THIS VERY KEENLY. *nods vigorously* I loooved And I Darken and I need Now I Rise so so badly. Also why don’t ALL books have sass? I need. The Australian cover for this is SOOO much better than the US one, so I shall add it to my Book Depository list haha. Can I confess something? I saw this one at ALA Midwinter, but the cover made me say “no, not a ‘me’ book”. And now I am MAD at myself because I have heard some good things! I do generally like my books with a bit of darkness, I will say. But sometimes a summery book is fun too! And honestly Cait, I am not a fan of birds, so much. I can tell you my LEAST favorite kind of bird though, and that is a BIRDPERSON. No thank you please. I actually like the US one better.😂 I’m so cantankerous when it comes to covers?!? I almost always prefer the US…sheesh, Cait, where is your loyalty. I’m so excited to read this book, it sounds really cool! Ooh this book sounds fun! Contemporary isn’t in my usual field of reading, but this one looks interesting. I usually tend toward light and fluffy books, but will also take a few dark books, but I need to be ready for them. because otherwise, diSASTER STRIKES.